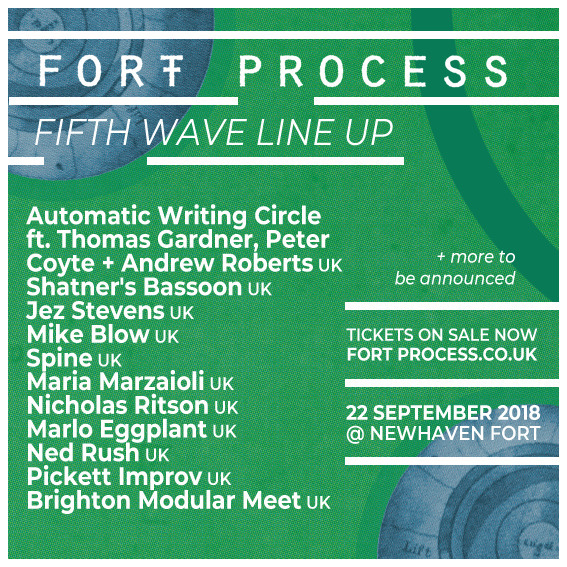 Fort Process is a one day sound art and music event that utilises the extraordinary resonant spaces of Newhaven Fort. This third edition of the festival will feature performances, installations, talks, workshops and live art, and is part of an extended season that runs from July to October with events at De La Warr Pavilion, Cafe Oto and ACCA. Children 12 and under may enter free of charge.